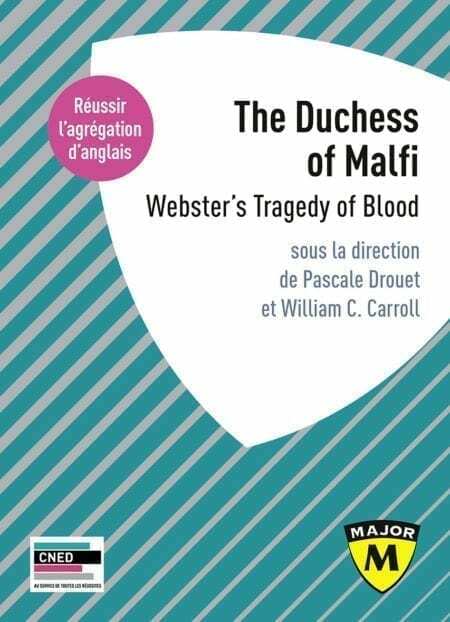 This collection of essays represents new scholarly work on John Webster’s great tragedy, The Duchess of Malfi. The critical methodologies range from historical contexts to feminist readings of agency and identity, to social analyses of Jacobean culture. The play has rightly taken its place as one of the greatest of the early modern period, and the Duchess is now seen as one of the great tragic figures of the time—and along with Shakespeare’s Cleopatra, one of the most powerful representations of a strong female character in control of her own sexuality and her own destiny. The play also offers an unusual range of villainous characters, from the Duchess’s two brothers—the Machiavellian Cardinal and the deranged Ferdinand—to Bosola, who at first seems to be a conventional Vice-like villain. Bosola commits terrible acts in the play, and though he ultimately surrenders to his conscience and tries to do good, this transformation comes too late, and the final set of murders takes place in darkness—an apt symbol of the play’s disturbing moral universe. Pascale Drouet : Professeur en littérature britannique des XVIe et XVIIe siècles à l’Université de Poitiers, Pascale Drouet est l’auteur de Le Vagabond dans l’Angleterre de Shakespeare, Mise au ban et abus de pouvoir. Essai sur trois pièces tragiques de Shakespeare, De la filouterie dans l’Angleterre de la Renaissance et Shakespeare’s Love’s Labour’s Lost. William C. Carroll, Professor of English at Boston University, has published The Great Feast of Language in ‘Love’s Labour’s Lost’; The Metamorphoses of Shakespearean Comedy; Fat King, Lean Beggar: Representations of Poverty in the Age of Shakespeare; and editions of Macbeth, The Two Gentlemen of Verona and Love’s Labour’s Lost.